Sec. 2. Raffle of requests for solemnization of marriages in multiple-sala courts. — Requests for solemnization of marriages submitted to first and second level courts in stations with two or more branches shall be governed by the rules and procedures in the raffle of cases prescribed by existing resolutions and issuances. Raffle of requests shall be effected upon payment of the appropriate legal fees. b. A marriage where both parties submit a written request to the solemnizing officer that the marriage be solemnized at a house or place designated by them in a sworn statement to this effect. In the event that either or both of the contracting parties be citizens of a foreign country, the solemnizing officer shall also examine the certificate of legal capacity to contract marriage issued by the respective diplomatic or consular officials and attached to the marriage license. Sec. 5. Other duties of solemnizing officer before the solemnization of the marriage in legal ratification of cohabitation. — In the case of a marriage effecting legal ratification of cohabitation, the solemnizing officer shall (a) personally interview the contracting parties to determine their qualifications to marry; (b) personally examine the affidavit of the contracting parties as to the fact of having lived together as husband and wife for at least five  years and the absence of any legal impediments to marry each other; and (c) execute a sworn statement showing compliance with (a) and (b) and that the solemnizing officer found no legal impediment to the marriage. Sec. 6. Duty of solemnizing officer during the solemnization of the marriage.– The solemnizing officer shall require the contracting parties to personally declare before him and in the presence of not less than two witnesses of legal age that the said parties take each other as husband and wife. (3) By retaining in the court’s files (1) the quadruplicate copy of the marriage certificate, (2) the original of the marriage license, and, in proper cases, (3) the affidavit of the contracting parties regarding the solemnization of the marriage in a place other than the Justice’s/judge’s chambers or in open court. (c) that there are no legal impediments to the marriage. The solemnizing officer (a) shall execute the affidavit before the local civil registrar or any other person legally authorized to administer oaths; and (b) shall file or send the original of the affidavit, together with a legible copy of the marriage contract, to the local civil registrar of the municipality where it was performed within the period of thirty  days after the performance of the marriage. Sec. 9. Recording of marriages solemnized and safekeeping of documents. — a. The solemnizing officer shall cause to be kept in the court a record book of all marriages solemnized. Marriages conducted shall be entered sequentially and each entry shall set forth the names of the contracting parties, their respective nationalities and current actual places of residence, the date of marriage and the date of the marriage license. Code of Muslim Personal Laws). Sec. 11. Venue of the Marriage Ceremony. — The marriage shall be solemnized publicly in any mosque, office of the Shari’a judge, office of the District or Circuit Registrar, residence of the bride or her wali, or at any other suitable place agreed upon by the parties (Article 19, Code of Muslim Personal Laws). Sec. 12. Marriages among Muslims without marriage license. — Marriages among Muslims may be performed validly without the necessity of a marriage license, provided that they are solemnized in accordance with their customs, rites or practices. (Article 33, Family Code). b. Personally interview the contracting parties to satisfy himself that the essential requisites for the marriage prescribed by Article 15, Code of Muslim Personal Laws, are present. Sec. 14. Other duties of the solemnizing officer before the marriage ceremony. –In case where one of the contracting parties is a female who though less than fifteen but not below twelve years of age has attained puberty, the solemnizing officer shall check whether or not, upon petition of a proper wali, an order has been issued by a judge of the Shari’a District Court for the solemnization of the marriage (Article 16, Code of Muslim Personal Laws). ceremony. –The solemnizing officer shall ensure that the ijab (offer) and the qabul (acceptance) in marriage are (a) declared publicly in his presence and of two competent witnesses; (b) set forth in an instrument (in triplicate) signed or marked by the contracting parties and the said witnesses; and that the declaration is attested by him (Article 17, Code of Muslim Personal Laws). Sec. 16. Duty of the solemnizing officer after the marriage ceremony. — The solemnizing officer shall (a) give one copy of the declaration to the contracting parties; (b) sent another copy of the declaration to the Circuit Registrar; and (c) keep the third copy (Article 17, Code of Muslim Personal Laws). Courts, Municipal Trial Courts in Cities, Municipal Trial Courts; Municipal Circuit Trial Courts and Shari’a Circuit Courts – Three hundred (P300.00) pesos. Sec. 19. 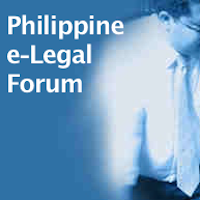 Payment of legal fees in Philippine legal tender. — All fees shall be paid in Philippine currency and such fees collected shall be properly officially receipted. Sec. 21. Facilitation of marriage ceremony. — Any judge or employee of the court who, alone or with the connivance of other court personnel or third persons not employed by the court, intervenes so that the marriage of contracting parties is facilitated or performed despite lack of or without the necessary supporting documents, or performs other acts that tends to cause the solemnization of the marriage with undue haste shall be subjected to appropriate administrative disciplinary proceedings. Sec.22. Reporting of marriages solemnized. –All marriages solemnized shall be duly entered and indicated in the monthly report of cases to be accomplished by the solemnizing officer. Sec.23. Posting of the Guidelines. –All Executive Judges/Presiding Judges shall post copies of these Guidelines (a) in conspicuous places in their respective Halls of Justice or courthouses; and (b) on the bulletin board of each court at the entrance to the courtroom. Sec.24. Violations of the Guidelines. — Violations of any of the provisions of the Guidelines shall be ground for the appropriate administrative disciplinary proceedings. Sec. 25. – Repealing clause. — The provisions of administrative orders, circulars and other issuances of the Supreme Court inconsistent herewith are deemed amended or revoked. Sec. 26. Effectivity. –These Guidelines shall take effect immediately. 1 Jimenez vs Republic, L-127900, August 31, 1960, 109 Phil 273. 2Navarro vs. Judge Domagtoy, A.M. No. MTJ-96-1088, July 19, 1996, 259 SCRA 129. 3 Article 7, Family Code; Navarro vs. Judge Domagtoy, ibid. 4 Dysico vs. Dacumos, A.M. No. MTJ-94-999, September 23, 1996; 262 SCRA 274. I know this to be out of place. Please bear with me. I just want to create awareness by choosing the busy forum or the latest. Do consider Dr. Martin Bautista for the next elections obviously (a senatorial candidate of â€˜Ang Kapatiranâ€™ together with Adrian Sison and Zosimo Paredes). Heâ€™s a 44-year-old gastroenterologist in the US who came home after 17 years. You can see from his background that he truly means service. For those who find him to be a hypocrite for working abroad, do understand heâ€™s a family man who needs to sustain his family, that he will be able to keep his independence by not relying on public funds to support his family. He helps his countrymen in his capacity but itâ€™s just not enough for there are millions of Filipinos. Itâ€™s a good start in Philippine Politics to have him and his party around. I urge you to forward/text/inform all your contacts about them. I believe they only lack exposure thatâ€™s why Iâ€™m doing this. But I canâ€™t do it alone so Iâ€™m appealing to everyoneâ€™s help. If all will inform their contacts about them and urge them as well to forward, we might hit a million. We cannot afford to be indifferent now if we want meaningful change. Otherwise we only have ourselves to blame. BUT TOGETHER WE CAN MAKE A DIFFERENCE. Good morning! I would like to seek your legal opinion if you may please. Is a Divorce Decree issued by a Sharia Court with legal effect; when the contracting parties marriage was solemnized by a Municipal Mayor when they (both contracting parties) are still non Muslim yet. On the basis of marriage under art 34, does the solemnizing officer (judge) needs to fill-up the affidavit at the back of the marriage certificate or is it ok that he executes his affidavit on a separate document? Our families and us decided to have the civil wedding this year. Pwede ba malaman papano magapaschedule ng wedding doon? One of a Minister which is no longer connected in our religious organization officiated a wedding ceremony last April, 2017 here in our province without any license as SO, What is his liability and do we have that right to file him a case for we are not the affected parties but what we are after is that he is using our church name. Can anyone share a copy of the affidavit that needs to be accomplished if the marriage ceremony will be solemnized in places other than the chamber of the judge or open court. Asking what if the both side are same residence at the city then the marriage license get the province na walang nakatira both side. Is the license is real? Is it possible to that Art 34 be deleted in the marriage contract?